The articles below are published in scientific reviews classified worldwide as Q1, this means they are placed on the top level of research quality. Lucchetti A., 2014. Congress: I progetti europei nella Regione Marche per la tutela del mare e delle sue risorse. Senigallia - Rotonda a Mare 4 settembre 2014. 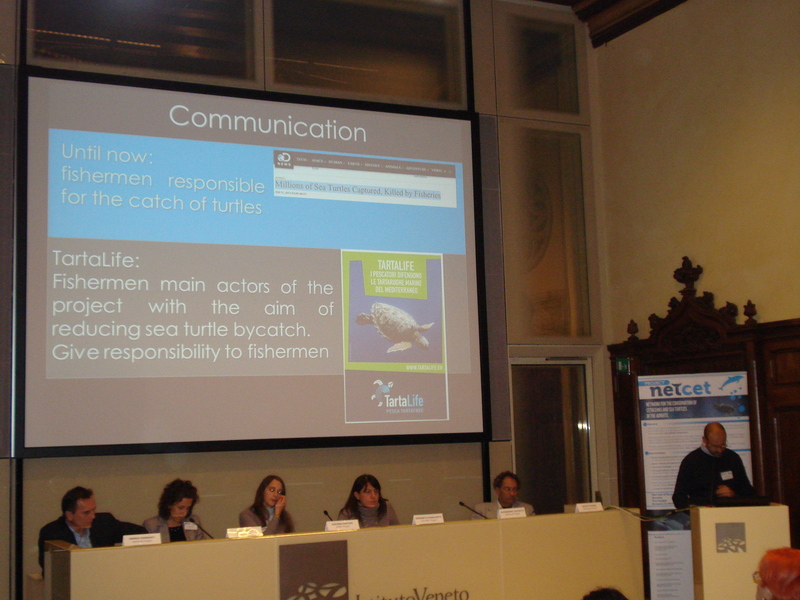 Progetto TARTALIFE - “Riduzione della mortalità della tartaruga marina nelle attività di pesca professionale” - Programma LIFE+ Relatore: Alessandro Lucchetti - CNR-ISMAR Ancona. In April 2017 TartaLife will attened the 37° Symposium on Sea Turtle Biology and Conservation, Las Vegas, California (USA), 15-20 Aprile 2017 con la presentazione: “Identification of the bycatch hot spots areas and implementation of reliable mitigation devices in Mediterranean Sea”. In May 2017 TartaLife will attened the the Terzo Seminario di Ecologia Costiera, Caorle (Italia), 04 Maggio 2017 con il lavoro: Lucchetti A., Vasapollo C., Virgili M., 2017. Il progetto TartaLife: riduzione della mortalità della tartaruga marina nelle attività di pesca professionale. In June 2017 TartaLife will attened the 48° Congresso della Società Italiana di Biologia Marina Roma, 7-9 giugno 2017 con il lavoro: “SEA TURTLES AND ECOSYSTEM SERVICES: TARTALIFE PROJECT EXPERIENCE”. 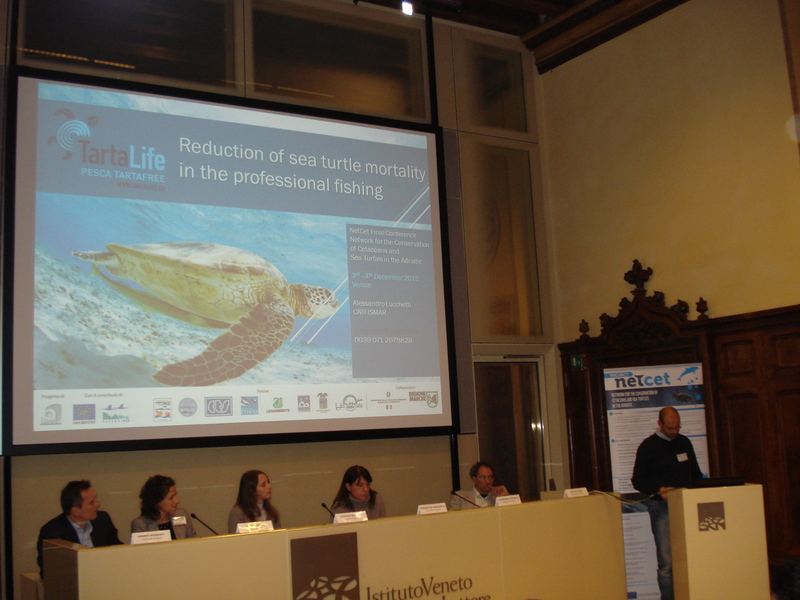 In 2015 TartaLife was invited to report on the results of the project by Accobams GFCM-FAO (two of the most important scientific organizations in the Mediterranean) to the Training Workshop on technical measures to mitigate interactions with fisheries of endangered species and to reduce post-capture mortality. Project on mitigating the negative interactions between threatened marine species and fishing activities. CRAM Center, Barcelona (Spain), 14-16 September 2015. Recently TartaLife was contacted by the US Embassy in Rome and put in touch with the Office of Marine Conservation US Department of State, because the United States has interested on the results of TartaLife project and on the potential of the technical solutions developed. The Program mangaer expressed his intention to visit the project in July 2017. TartaLife was also contacted by the organization Friend of the Sea that promotes sustainable fisheries through certification and conservation projects. Friend of the Sea is interested in spreading low-impact solutions developed in TartaLife among the companies that collaborate with the organization. Other collaborations have been initiated with the project LIFE EUROTURTLES interested in deepening knowledge on techniques tested during TartaLife. A memorandum of understanding is actually in draft among the two projects. Moreover, we were contacted to give our contribution to the Marine Strategy Framework Directive for the definition of good environmental status and the environmental targets. Under the pressure of TartaLife project the Coordination Center of the Adriatic networks for the Protection of Sea Turtles has been launched. The Coordination Center has the function of coordinating the activities of the different regional networks and thus effectively increasing the efficiency of existing rehabilitation centers. The initiative was welcomed by the Ministry of Environment. Finally, several fishing companies have shown a willingness to test the solutions developed in TartaLife on a voluntary basis, something that is very uncommon in this type of projects. At the moment several gears are actually used voluntary in different boats.